Santoemma FOOD Processing areas cleaning program includes a range of machines designed for cleaning different types of surfaces in food processing areas such as: supermarkets, food factories, industrial kitchens. 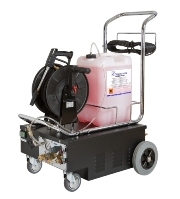 All the models of the range allow to spray on the surfaces a cleaning and sanitizing dense foam and to rinse the same surfaces afterwards. 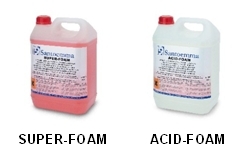 Dense foam allows to optimize the chemical cleaning and sanitizing action. 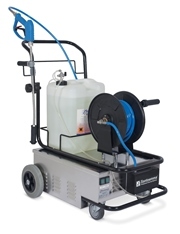 Rinsing is performed at an optimal pressure, allowing to quickly remove the foam and dirt residuals. Rinsing at a controlled pressure avoids that any particle is jumping on other surfaces and prevents the creation of a haze of water vapors, which would keep in suspension the micro-organisms for several minutes. These micro-organisms would fall again on the surfaces after rinsing, affecting the efficacy of the bactericide action. Some models of the range allow to vacuum the residual liquid as well, leaving the environments completely dry after cleaning operations. IdroFoamRinse FOOD 600 IdroFoamRinse FOOD is an innovative machine, electrically powered, allowing to spray foam and rinse continuously. 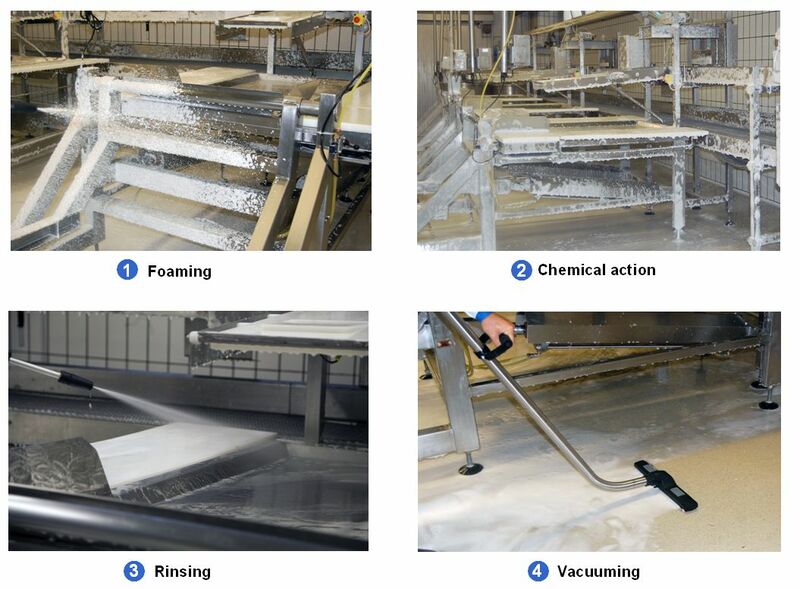 The water used for foaming and rinsing is directly taken from the water network, therefore the machine has an unlimited autonomy. Pure chemical is contained in its separate tank and it is automatically used by the machine in a controlled quantity. IdroFoamRinse FOOD is indicated to clean all the areas where the presence of a drain in the floor makes vacuuming not necessary. 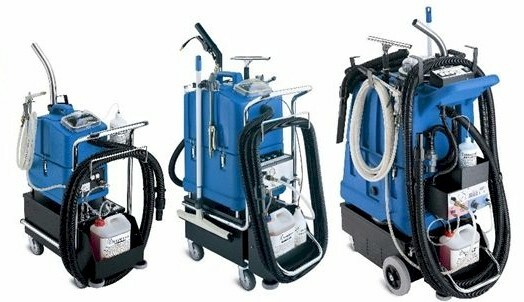 FRV FOOD range includes three machines able to spray foam, rinse and vacuum the residual liquid from floor. The three models, with different vacuum capacities and autonomies, have been specifically designed to better adapt to places of different sizes. The machines of Santoemma FOOD program can be used, according to the cases, with degreasing or acid chemicals. Laboratory tests certify that the application of Santoemma chemicals on a surface for 3 minutes allows to kill 99,9 of b acteria, confirming the effectiveness of their sanitizing action.